Celebrate your child's birthday or a special occasion with a fun-filled party at London South Bank University (LSBU) Academy of Sport. Our experienced party organisers will give your child a day to remember. They will be on hand to keep everything running smoothly with a great range of activities and equipment. 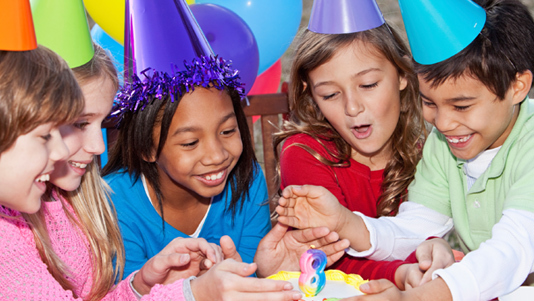 We're pleased to offer a party package for children's birthdays. Our birthday parties last for 1 hour and 45 minutes, and are for a maximum of 30 children. Children must be aged 3 and over. Our party leader will be on hand to play a range of fun activities with the children such as basketball, football, hockey, bouncy castle games and much more. Party food and beverages are not included in the party packages; however you may bring your own cold food, beverages and birthday cake. For further information and to book your party contact the Academy reception on tel: +44 (0) 20 7815 7812 or email sportscentre@lsbu.ac.uk.